1 Rinse and pat dry cleaned herrings. Drizzle with lemon juice and season with salt and pepper. Scrub potatoes and cook, covered, in boiling salted water for 15 minutes. 2 Heat 3 tablespoons of oil in a heavy pan. Coat fish with flour and cook fish, few at a time, for about 8-10 minutes or until golden brown on both sides. Add more oil to the pan, if necessary. 3 Drain and evaporate potatoes. Heat butter in a pan and fry potatoes, covered, for about 5 minutes. Season with salt. 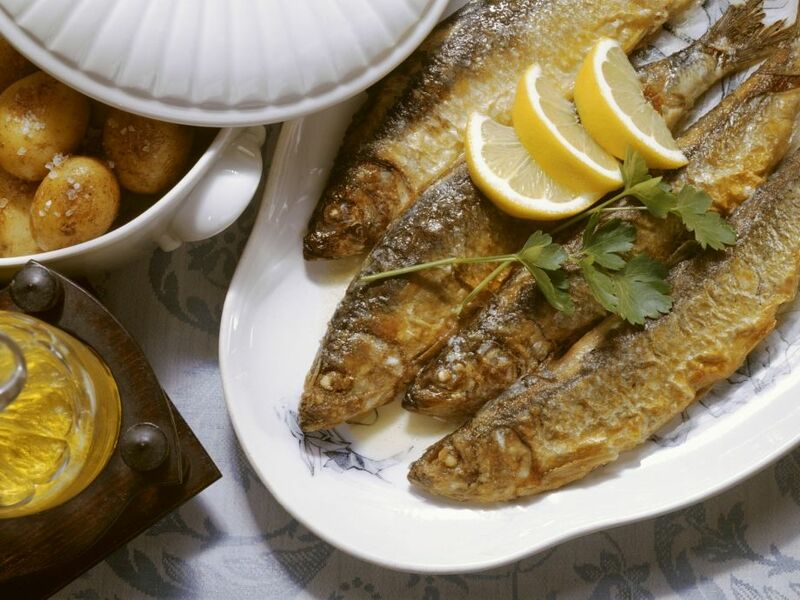 Arrange fish on a plate and garnish with lemon wedges. Serve accompanied by potatoes. If desired, serve with green salad.